I know I have been MIA for awhile now. But believe me, I am still here. I am reading everything everyone is blogging. I am also reading books, yet I am not feeling anything. I haven't read anything to blog about, but that is about to change. 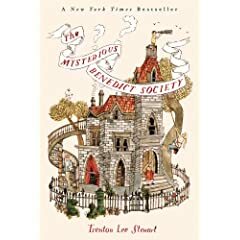 I am currently reading The Mysterious Benedict Society and loving it! (By the way, comes out in paperback April 1) I also have my beach reading packed and ready to go, Greetings From Nowhere! Very excited for that. Of course I am taking my computer to the beach, but I ain't promising a thing! See ya a little browner next time! Enjoy your reading and beach time in Naples. It is so nice to get away!! Have a great break! Don't get sand in your computer!! Just got back from my beach vacation -- didn't look at a computer for 8 days straight!! I can't tell you how refreshed I feel! Loved The Mysterious Benedict Society! 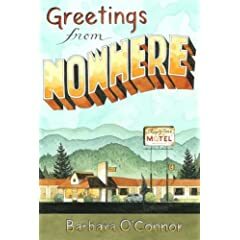 Can't wait to read Greetings from Nowhere. It will be fun to compare reviews with you! Hope your vacation was wonderful!! !